In 2007, one day after her 100th birthday, Peggy McAlpine from Scotland became the oldest person to tandem paraglide in the world. In 2012, however, her record was beat by fellow daredevil Mary Allen Hardison from the US, who was celebrating her her 101st birthday. Undeterred, Peggy went on to reclaim her title in 2013, at the age of 104. After being helped from her wheelchair into her harness, she took to the skies over Northern Cyprus. Peggy died the following year, but the footage of her legendary leap is lasting testament to her brilliant bravery. 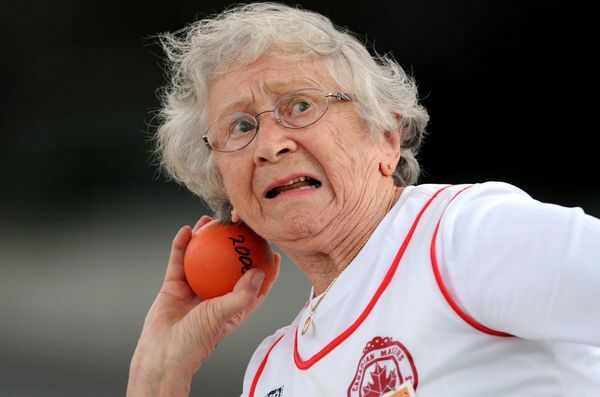 Canadian Olga Kotelko entered her first Masters athletics competition aged 77 – and after that, she was hooked. 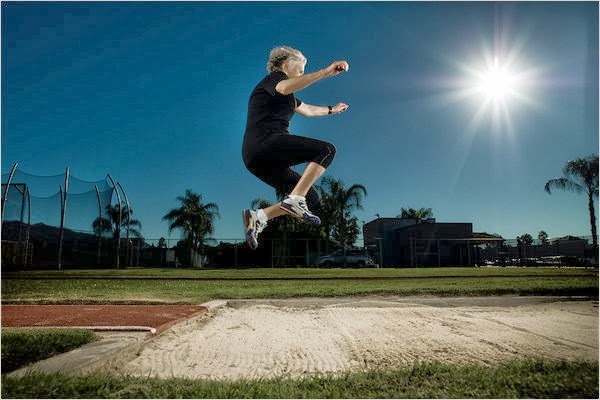 From triple jumps to hammer throw, Olga went on to smash over 30 world records for her age group, amassing a dazzling 750 gold medals. The former schoolteacher took part in the World Master’s Athletics competition, open to ‘veterans’over the age of 35. Perhaps it was the fact she escaped an abusive marriage in the fifties that made her so strong and determined. Olga carried on competing – and winning – well into her nineties, before she died earlier this year. Fauja Singh is a world record holding marathon runner with some pretty impressive achievements under his belt. Right now, he’s retired from running, but he is 103. He hung up his running shoes in 2013, after running the Hong Kong Marathon at the age of 102, however he continues to run for pleasure. Fauja’s record for the London Marathon is 6 hours 2 minutes, achieved when he was 92. No wonder he was snapped up as the face of an Adidas advertising campain, alongside the likes of David Beckham. 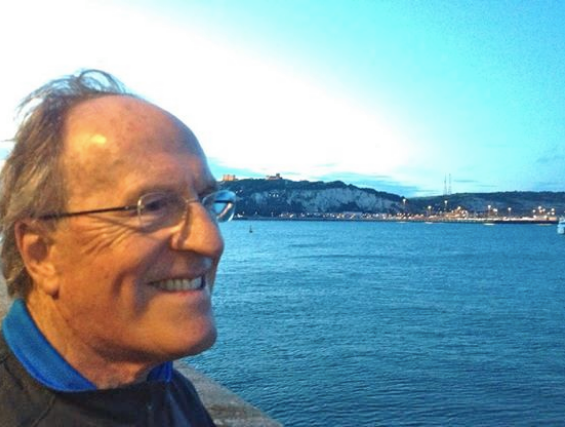 73-year-old South African Otto Thaning made waves (and headlines) earlier this year, when he became the oldest person to swim the English Channel. 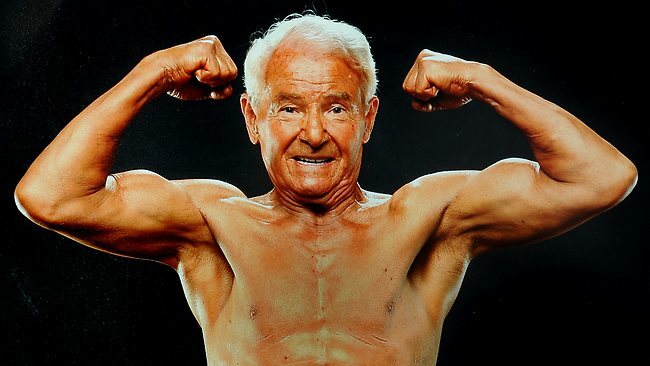 The brave heart surgeon said he wanted to prove what older people can do if they look after themselves. Spare a thought for 71-year-old Australian Cyril Baldock though; he earned the title just one month before Thaning pipped him to the port. Climbing the world’s highest mountain is probably one of the most impressive journeys a human being can make. Japanese mountaineer Yuichiro Miura pretty much owns Everest.OK, that might be a bit of an exaggeration, but he has still got some astounding Everest-related records to his name, which are made all the more impressive by his age. Miura’s relationship with the great peak began in 1970, when he became the first person to ski on its slopes. After a descent of over 4200 feet,he attracted film makers and found himself the centre of 1975’s award-winning and imaginatively named documentary ‘The Man WhoSkied Down Everest’. Miura first scaled Everest in 2003, at the tender age of 70, but was beaten shortly afterwards. He carried on, though; reaching the top in 2008 at the age of 75 and again in 2013, aged 80. No wonder he’s smiling. Nothing makes you feel youthful like dangling on a piece of elastic from a 150-foot crane. 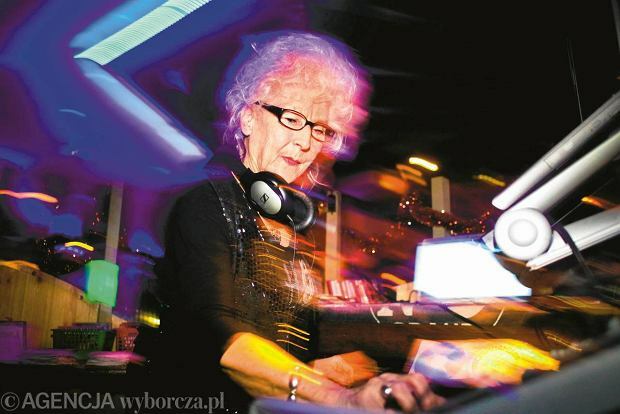 That’s what 95-year-old Finnish lady Margit did this summer. On solid ground, she walks with a stick – but she didn’t need it when she was bungee jumping from the crane, which afforded great views over her home city of Helsinki. Such was this womn’s bravery that she didn’t even scream. 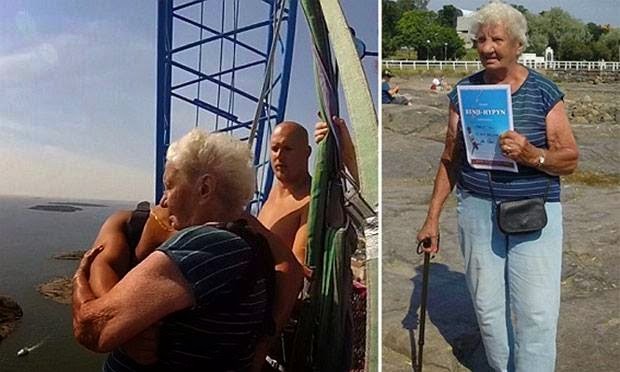 Margit didn’t quite grab the title of oldest ever bungee jumper (that went to 96-year-old South African Mohr Keet), but it was still a remarkable feat. And we love the fact she’s called ‘Tall’. Mahaney lost her husband at 72, which is when she started to travel. Despite her sadness, she decided to dust herself off and head to the countries she’d never visited before. Now she’s 90, and she’s been to over 100 countries – but it’s not all about stamps in her passport. What’s even more amazing about Mary is what she does when she’s on the road. From stroking lions to zip-wiring, this thrill-seeker has taken part in some wonderful – and unforgettable – experiences. 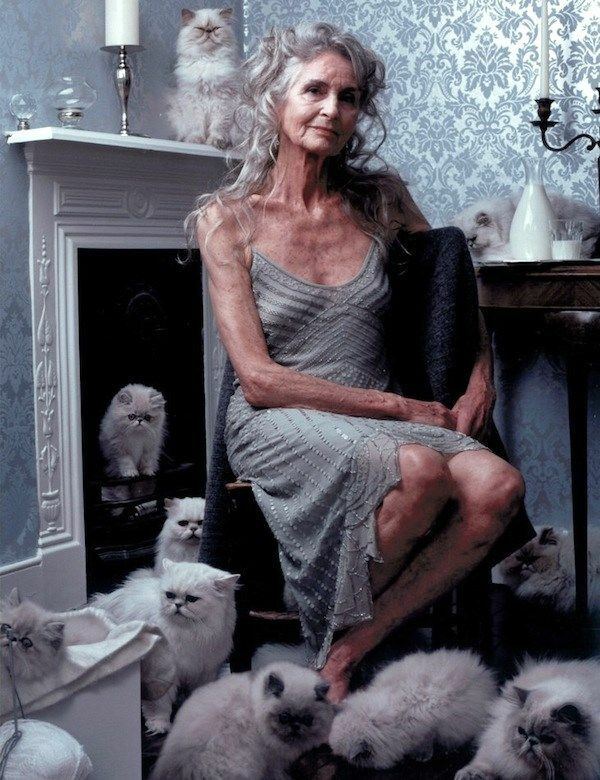 Frenchwoman Tao Porchon-Lynch is the proud owner of the Guinness World Record for world’s oldest yoga teacher. She’s 96, and her colourful life, which began in India, has seen her be a dancer, actor and model. Age has never been an issue for Tao, who can be found online contorting into some unbelievable poses. OK, we’ve already had the inimitable Mr Moon, but we couldn’t complete this list without 74-year-old Ernestine Shephard, the world’s oldest competing female bodybuilder. 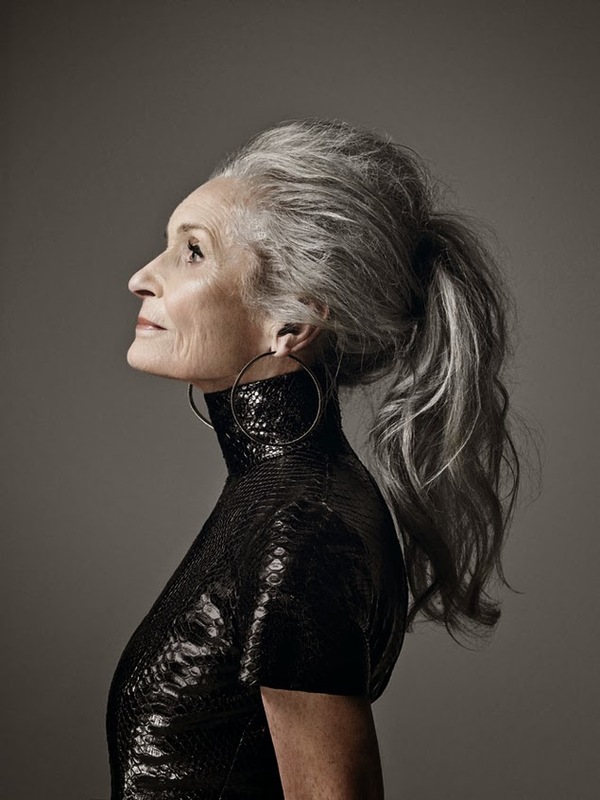 As well as pumping iron (and, frankly, looking radiant,) Ernestine teaches classes from her regular gym in Baltimore. She’s got a sublime six pack, but she only started sculpting it when she was 57, after seeing an unflattering photograph of herself in a swimsuit and vowing to take more care of her body. Don’t miss the latest edition of our monthly newsletter! We have some great news to share this month. Read the September edition of “The Community” newsletter here.